The face has been traditionally regarded as the site of authenticity, the mark of presence, unique subjectivity and truth. In the recent years, the face has become affirmed even more as such, - through the impetus to create an online presence for the face, and self, through selfies, but also a range of other pictures on social media. Face on social media becomes both an authentic proof of presence and a site of algorithmic transformation. Beautifying apps as well as knowledge and application of photographic apparatus (scene, lighting, etc) have become techno-cognitive infrastructures every (especially female) teenager is compelled to embrace. A certain visual presence is born, therefore, one that is compulsively ‘authentic’ yet the most distant from the ‘true self.’ This distance is constructed technologically and is enacted ontologically. At the same time, on a different scale, the face has become the new fingerprint. Facial identification via documents such as a biometric passport has doubled up with automatic facial recognition. Not obscuring, having to present your face (in demonstrations, for example) is a condition for a technique of governance, where face acts within an apparatus of capture. The face therefore, acts paradoxically as a site that computationally embeds distance and allows for playful disidentification or construction of alternatives, as well as a site of capture and absolute identification. Both rest on differing notions of authenticity that converge upon the face. This talk will explore this paradoxical condition. 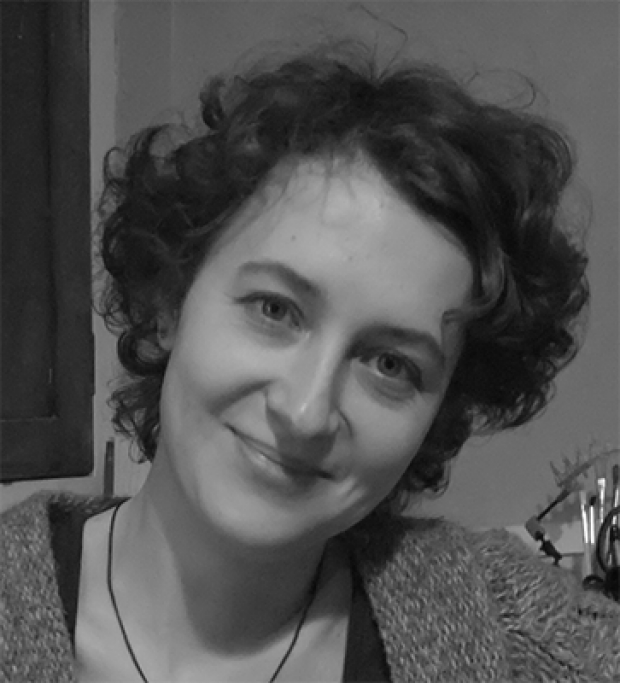 Olga Goriunova is a Senior Lecturer at the department of Media Arts, Royal Holloway University of London. She is the author of Art Platforms and Cultural Production on the Internet (Routledge, 2012), editor of Fun and Software. Exploring Pleasure, Pain and Paradox in Computing (Bloomsbury, 2013), co-editor of Readme. Software Art and Cultures (Aarhus University Press, 2005). She is a founding co-editor of Computational Culture. The Journal of Software Studies (http://computationalculture.net). In 2014-2016, she is part of the Posthumanities International Network. She is also an ongoing member of the Visual Social Media lab (http://visualsocialmedialab.org). In 2015, she was a research fellow at the Digital Cultures Research Lab, University of Leuphana. She is writing a new monograph on the notions of the digital subject/subjectivity in relation to data mining, patterns and modeling as well as media art and online performance.